Despite the reputation professional wrestling may have within the mainstream, there's no denying the popularity of Hulk Hogan. He helped elevate the WWF (later WWE) into becoming the household name that it is today. Later, Hogan played a major role in helping rival WCW become the top wrestling promotion. 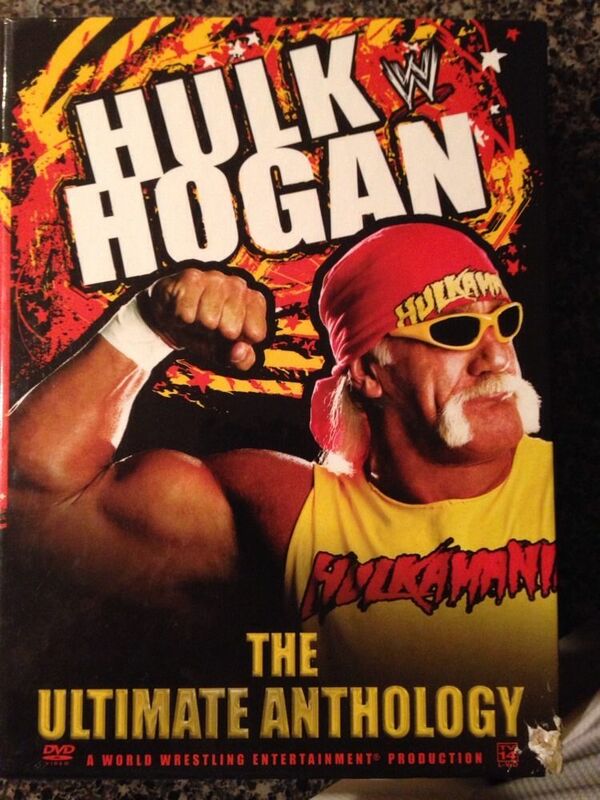 Although Hogan's career is far past its prime, Hulkamania will never die. Hulk Hogan cards and memorabilia continue to sell well among wrestling collectors and into the broader collecting community. Collectors have dozens of Hulk Hogan cards to choose from, including many rare inserts, autographs and memorabilia card. His first mainstream card is in 1982Wrestling All Stars Series A. Sold via mail order, it's tough to find. The first WWF Hulk Hogan cards can be found in 1985 Topps WWF Pro Wrestling Stars. 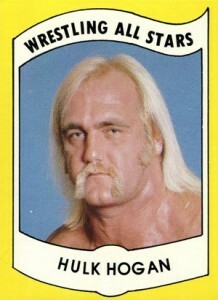 By then the biggest star in the industry, there are several Hulk Hogan cards in the set. 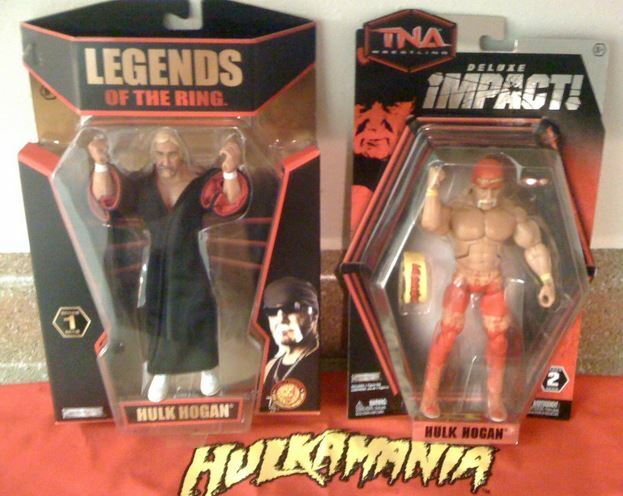 The most recent string of Hulk Hogan cards can be found in TriStar's TNA sets. 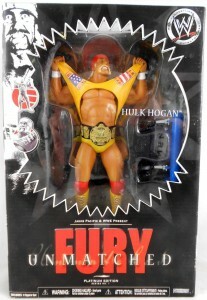 Since joining the company, Hogan normally plays a big role in these releases. While he has signed quite a few autographs for recent TNA releases, they are usually extremely limited in terms of quantity. 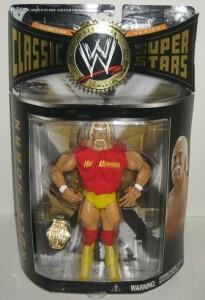 Other popular Hulk Hogan collectibles include action figures and signed photos. Vintage T-shirts, magazines and just about anything from his original WWF run in the mid-80s can also carry solid value. It's amazing to think that such a dull card would be the first to feature one of pro wrestling's most charismatic figures. The 1982 Wrestling All Stars Hulk Hogan was only available through a mail-away offer from The Wrestling News. The combination of it being Hogan's first card and its rarity make it one of the most sought cards in the hobby. Now this is the Hulkster who inspired millions of little Hulkamaniacs to drink their milk, eat their vitamins and stay up late on Saturday nights. Released as the WWF and Hulkamania were hitting their stride, the 1985 Topps WWF Pro Wrestling Stars Hulk Hogan is his first major release. The picture shows the Hulkster with the championship belt he held for many years. 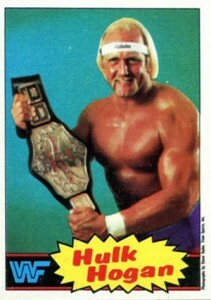 The set has several other Hulk Hogan cards and stickers but this is considered the most iconic in the set. 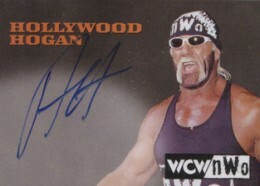 Hulk Hogan's first certified autograph card arrived in 1998 Topps WCW/NWO, at the height of the Monday Night Wars. The card has several signature variations. Some have just initials, some are signed Hollywood Hogan and some are signed on the back. 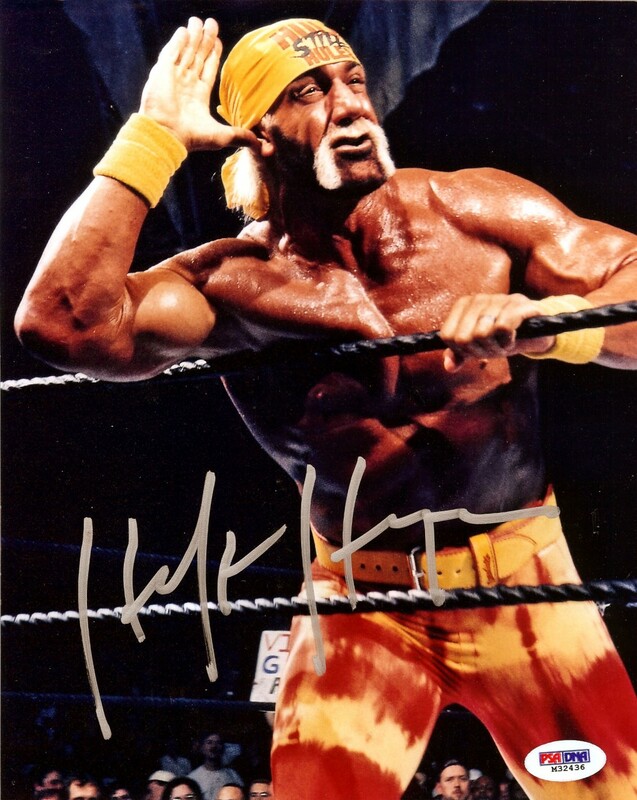 The first WWE Hulk Hogan autograph card might be more appealing than his earlier autograph. 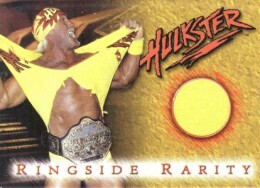 The 2005 Topps Heritage Autograph has the Hulkster back in his trademark red and yellow gear. 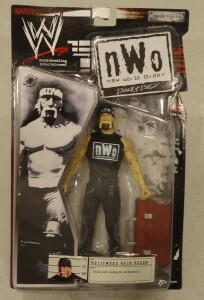 It's also signed "Hulk Hogan," which is more iconic than his heelish NWO persona. Hulk Hogan's first memorabilia card, the 1999 Topps WCW Embossed Ringside Rarity is somewhat tough to find. The card has a piece of event-worn shirt embedded into it, much like a jersey card. 1987 OPC WWF WRESTLING #3 HULK HOGAN PSA 10 GEM MINT!! POP:1!! 1985 OPC WWF 2ND SERIES #51 HULK HOGAN DON MURACO PSA 10 GEM MINT!! POP:1!! 1985 OPC WWF WRESTLING 2ND SERIES #39 HULK HOGAN PSA 10 GEM MINT! POP:2!! 1985 OPC WWF WRESTLING 2ND SERIES #66 HULK HOGAN PSA 10 GEM MINT!! POP:2!! 1985 OPC WWF 2ND SERIES #75 HULK HOGAN KING KONG BUNDY PSA 10 GEM MINT!! 1987 OPC WWF WRESTLING #36 HULK HOGAN PSA 10 GEM MINT!! POP:2!! 1985 OPC WWF WRESTLING 2ND SERIES #75 HULK HOGAN KING KONG BUNDY PSA 9 MINT!! 1985 OPC WWF WRESTLING 2ND SERIES #66 HULK HOGAN PSA 9 MINT!! 1985 OPC WWF 2ND SERIES #23 HULK HOGAN BRUTUS THE BARBER BEEFCAKE PSA 9 MINT!! 1985 OPC WWF WRESTLING 2ND SERIES #29 HULK HOGAN PSA 9 MINT!! 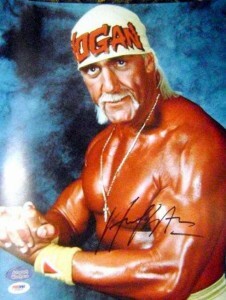 Below you will find an example of what Hulk Hogan's authentic signature looks like. This can be used as a first point of reference for determining the legitimacy of autograph memorabilia, but is not a substitute for having your items authenticated by a well-respected professional autograph authentication company. Some of the trusted sources within the sports memorabilia market include the following companies: PSA, JSA, Tristar, WWE and Mounted Memories. Click on any of the images below to view full size photos. The entire signature is written on an even plane with just a very slight lean to the right. The defining letters of the autograph are the letters "H."
The first "H" consists of two parallel lines, unconnected, but a short line is used to flow into the letter "u", which often resembles a closed loop, lower-case, cursive "e."
The letter "l" is legible with a small, but often closed loop and an longer extending line below the signature plane. The pen lifts and the letter "k" is printed and easily discernible. The parallel lines of the second "H" are usually somewhat, connected. A scribble that looks like a number "7" is actually the letters "o-g."
The pen lifts and the last character looks like a cross between an "a" and an "n", which it is. At the height of the Hulkamania craze of the late 1980s and early 1990s, Hulk Hogan was everywhere. 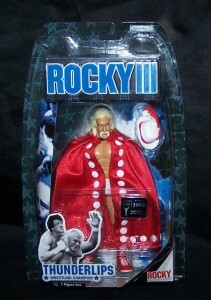 With toys and action figures, posters and DVD's, there is no shortage of Hulk Hogan collectibles. His re-emergence in TNA IMPACT has created a new generation of fans. As a result, there are even more Hulk items than ever before. 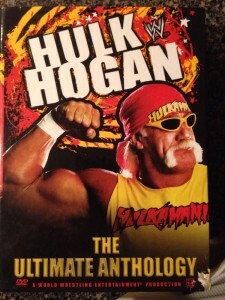 Shop now for Hulk Hogan DVD's and videos. Shop now for Hulk Hogan figures. HULK HOGAN JUNK YARD DOG 1984 + CAPTAIN LOU ALBANO 1986 LJN TITAN WWF FIGURES! LJN WWF LJN wwe nwo wcw WRESTLING SUPERSTARS HULK HOGAN nice. Will you send me a request catalog or newsletter? I want read and look for pictures a request catalog or newsletter book. What kind I like a something’s and anything & etc..
My favorite name is hulk hogan. He is so handsome and cute man. This site does not have catalogs. However, you can browse throughout the site for collecting info and links to collectibles.